This Homer Laughlin 456326 platter is a bright Fiesta® Scarlet. This platter looks great as a statement piece and with mixing-and-matching of other Fiesta colors. This oval piece of fully vitrified china measures 95⁄8 inches in length and 67⁄8 inches wide. 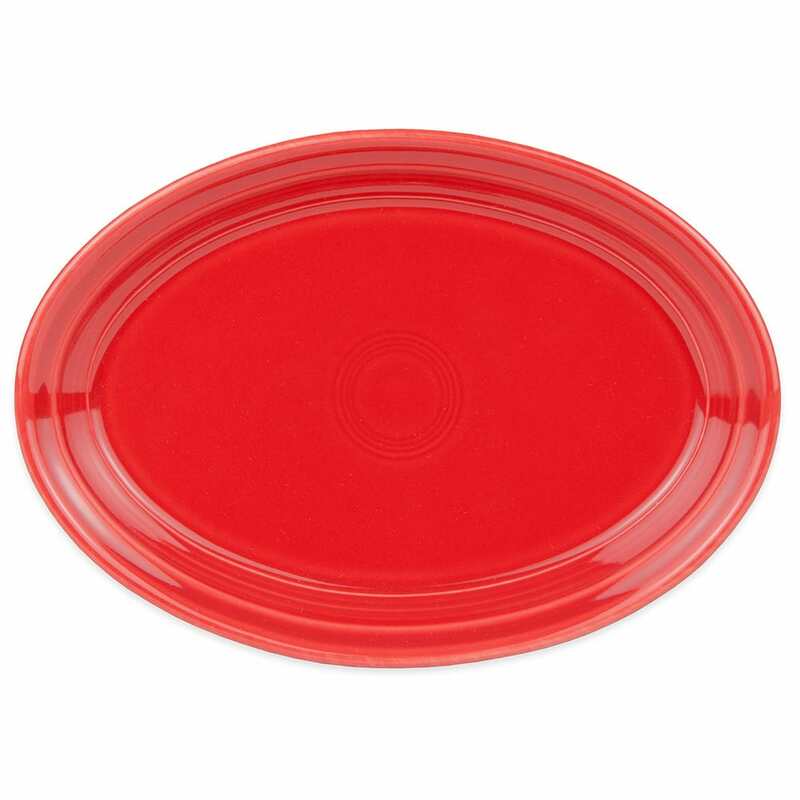 The Homer Laughlin 456326 platter is lead free and microwave, oven, and dishwasher safe.